Modern Steam - The Future? 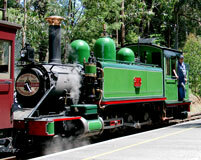 In the Western Australia state capital of Perth a 7¼" gauge Garratt type locomotive can be found with a number of modern features. More can be read here. Modern Steam Glossary - A glossary of modern steam terms, very much a work in progress, is available here. There are few excellent books available, some only second hand, with which is it possible to find out just what a modern steam locomotive is, how to create one and how good it would be. Click here to see some recommendations. 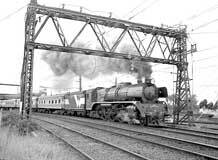 Videos and DVDs featuring modern steam locomotives would seem to be comparatively rare but there are some. Photos of Modern Steam subjects submitted to this site but not used elsewhere. If you have anything you would like to share please . Click here to see the current selection of photos. Third Generation, yet-to-be developed engines, the prototypes of which would cost US $109 to develop and build. Click here to read the article the above is quoted from. To adequately cover the work of L.D. Porta would require a very thick book. I do not aim to provide the first section of that book here but to read a little on certain aspects of his work click here. The name of british born engineer David Wardale is almost as well known as that of L.D. Porta. The principle reason for this can be put down to his work in South Africa. 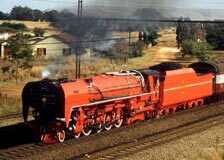 For approximately a decade he was almost a lone voice fighting against the headlong dash for diesels on South African Railways. Given this environment the modification of two locomotives was an even greater success than it would otherwise have been. From South Africa he has worked in the USA, China and now back in the UK. For more information on Dave's work click here. 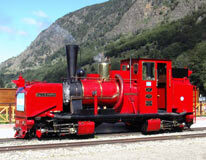 Now based in South Africa Phil Girdlestone started his railway career in the 1970's on the Ffestiniog Railway. On the Ffestiniog he was responsible for the conversion of Hunslet 2-4-0st+t 'Linda' from oil burning to coal on the Gas Producer Combustion System. 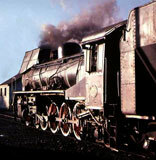 Following moves elsewhere he arrived in South Africa where he took up the position of CME on the Alfred County Railway. 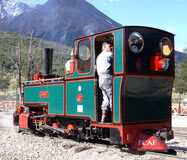 Here considerable success was achieved with the modernisation of NGG16 Beyer-Garratts. The modernised pair, 141 & 155, were classified at NGG16A. To read more on Phil's work click here. 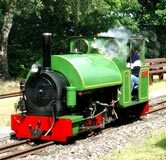 Nigel made his name with modernisation work on the Snowdon Mountain Railway, the Welshpool & Llanfair Light Railway and elsewhere in the UK. 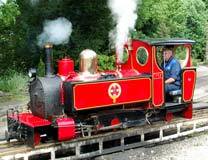 He has also been responsible for the very successful redraughting of NA Class 2-6-2t 6A on the Puffing Billy Railway, Victoria, Australia. 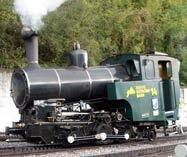 In 2003 the world's first rack & pinion railway - The Mount Washington Cog Railway in the USA - fitted a Lempor exhaust to his design to their locomotive No.9 Waumbek. This installation was the first Lempor ever in the USA, quite an achievement. To read more on Nigel's work click here. 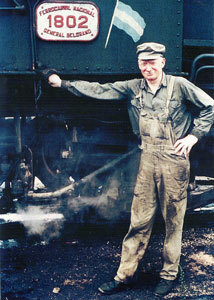 Shaun McMahon has been busy developing steam locomotives over the last few decades. He is currently located at the tip of South America. 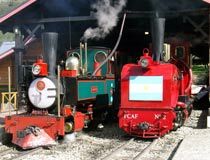 In 2004, following 5 very successful years on Ferrocarril Austral Fueguino (FCAF) in Ushuaia, Shaun took up a consultancy role at Rio Turbio. This should see him overseeing the return to steam of the Santa Fe locomotives of RFIRT which will include bringing them right up to date. Before arriving in Argentina he had worked with both Nigel Day & Phil Girdlestone.In recent years he has become very much associated with use the boiler water treatment scheme that has become known as 'Porta Treatment'. To read more about this very important and comprehensive treatment regime click here. To read more on Shaun's work click here. 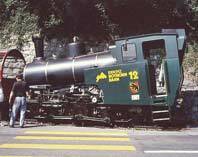 One of the best places to see new build modern locomotives in action is the Brienz Rothorn Bahn in Switzerland. The power of the engine and the ease of operation (the engine is single manned) proves just what can be done. 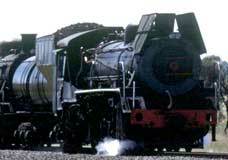 The designers and manufacturers of these locomotives, now known as DLM. They are lead by engineer Roger Waller who worked under David Wardale in South Africa. He was, amongst other things, involved in the indicated tests undertaken with 3450 aka 'The Red Devil'. Click here to visit their website. 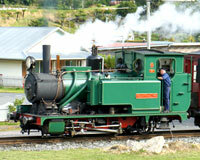 Click here to read more about DLM locomotives and technology. This railway is 15" gauge running from Clayton West to Shelley (formerly Clayton West Junction when the route was a standard gauge branchline). Clayton West is not a million miles from Wakefield and Barnsley in West Yorkshire. The line's ruling gradient is in the order of 1 in 72, with 1/2 mile of 1 in 68 and a short stretch of 1 in 42. The route climbs most of the way to Shelley which is 3¼ miles from Clayton West and 230' higher. Why is the line included here ? The four steam locomotives in the fleet have all be modified with Lempor exhaust systems and sport a Gas Producer Combustion System (GPCS). Until recently these were just about the only GPCS locos operating in the world today. The line has also become the first in Europe to use Porta Treatment to protect their boilers. 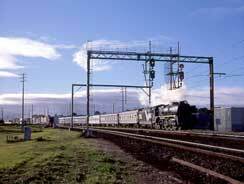 Mechanical enhancements have also been undertaken to improve reliability and reduce maintenance requirements. Click here for more information on the KLR. Also there is the line's own website at http://www.kirkleeslightrailway.co.uk/ The news page has plenty of info on the recent locomotive modifications. 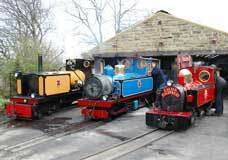 In addition the Friends of the Kirklees Light Railway also have their own website. I am too young to have seen steam locomotives working the mainlines of Britain in commercial service. 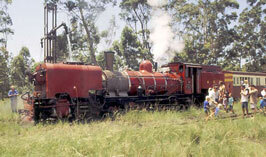 I have been fortunate enough to see 'real' steam at work in a few parts of the world. However with a few exceptions these locomotives, and most that run around today on preserved railways and mainline specials, are fairly inefficient beasts. Despite the work of André Chapelon in France very few engines off the SNCF every came close to be as good as they should have been. Chapelon's work was continued by Ing. L.D. Porta and still is by others; in the process producing engines of very high efficiency and in relative terms staggering power outputs. Sadly there seems to be a distinct lack of interest on the part of the average enthusiast. Most seem happy to stick with engines they know. 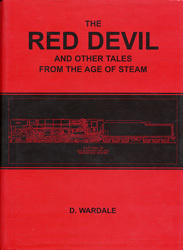 In his book 'The Red Devil and Other Tales from the Age of Steam' David Wardale argues that steam did not develop because steam engineers sat on their laurels believing what they had was good enough. When diesels came along they were better than most existing steam designs; it was already too late for steam to catch up and not surprisingly steam was superseded. I can see history repeating itself. 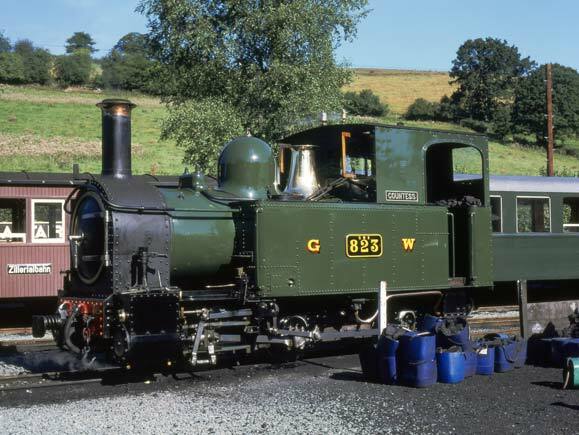 The general lack of support given to those who have the means and skills to produce such modern steam locos could lead to the demise of steam itself in all but a few special areas. Personally I don't believe it is either desirable or sensible to continue to rebuild life expired locomotives, or brand new ones, to out dated designs. If steam is to survive new designs MUST be developed. Modern, efficient, reliable and easy to maintain steam locomotives of the Stephensonian type may never be widely used by railways around the world but they could, and in my opinion should, have an important role in certain areas. More sophisticated steam traction is very much reality already - only vested interest and ignorance is preventing this type of traction from making the impact it ought to. If you want to keep up to date with news of modern steam around the world the best place I know of is the Ultimate Steam Page. 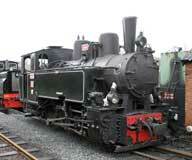 For general world steam news go to International Working Steam Locomotives. This site also contains a lot information on modern steam. Should you not believe or choose to deny the truth of any of what I have written here, and on related pages, I feel I ought to suggest this webpage for you.